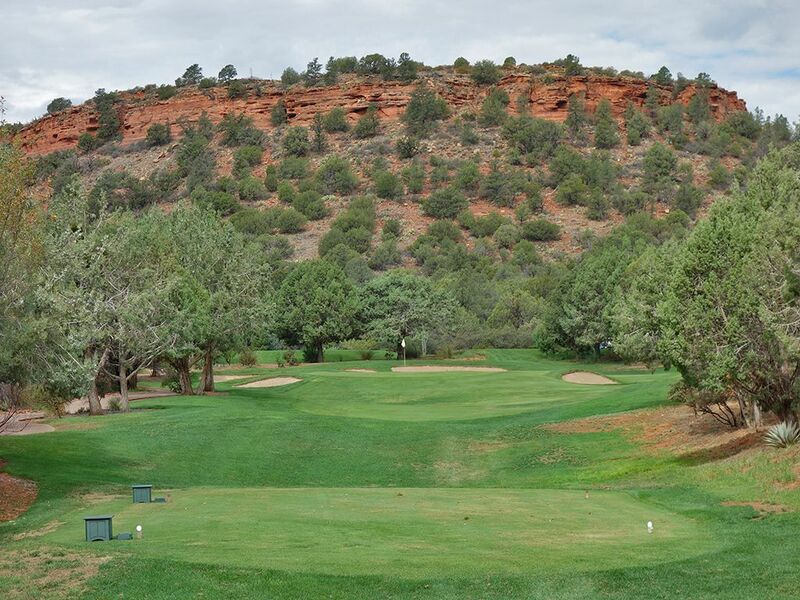 Course Website: Official Website - Visit Seven Canyons Golf Club's official website by clicking on the link provided. 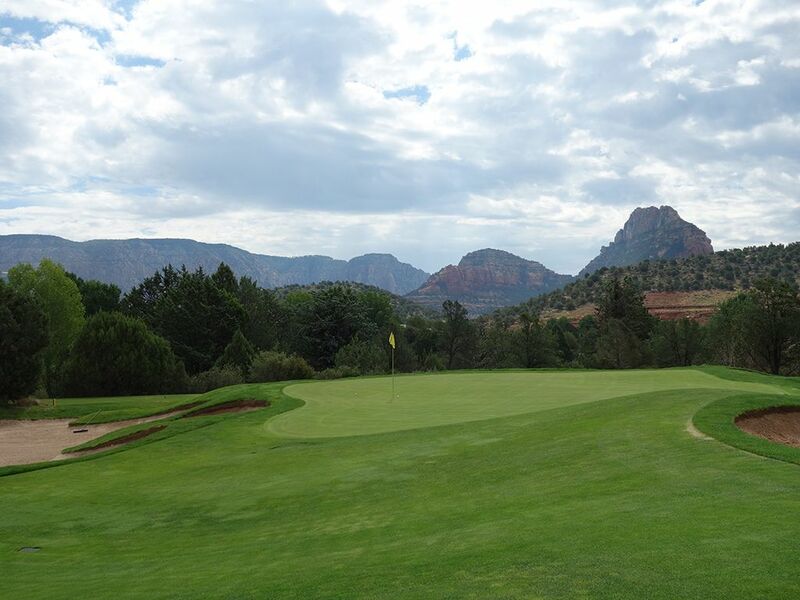 Accolades: Ranked 31st in Arizona on Golf Course Gurus' Best in State list. 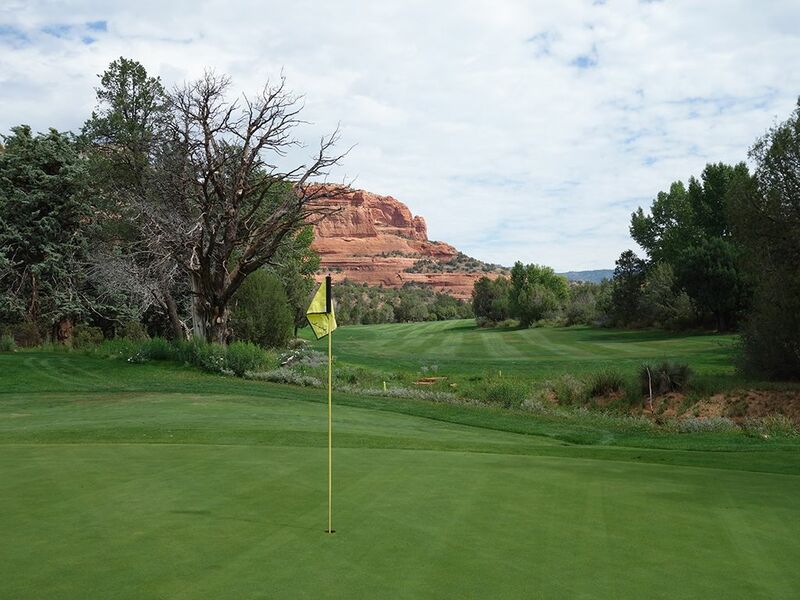 What to Expect: Based on the pictures I saw and strong rankings Seven Canyons has achieved in different publication, I had strong expectations for the course but nothing crazy lofty. Wow, was I disappointed. After struggling to even find the clubhouse among all the different construction going on in the area, we were ushered to the first hole and I was wondering if we were in the right place. The turf conditions were worse than most municipal courses I’ve played let alone a club of this stature. Weeds and dead patches were commonplace which was a tragedy considering the spectacular setting characterized by the large red rock formations that the Sedona area is so well known for. While conditioning can improve with time and effort, the most perplexing part of Seven Canyons was the routing. The back tee on the opening hole plays across a road and is one of a handful of back tees that seem like an afterthought in an effort to stretch out a course that should just embrace being relatively short. 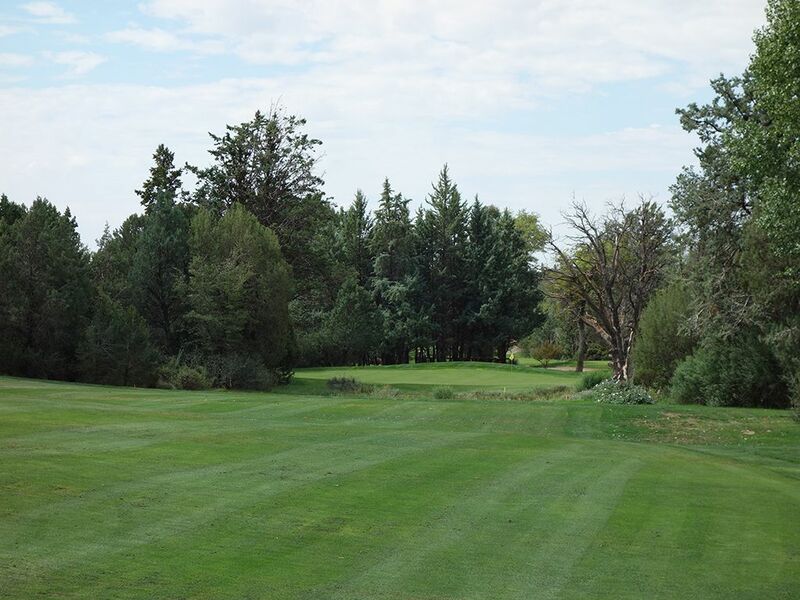 The routing was clearly handicapped by the developer’s desire to cater to the residential development that the course is forced through and results in a course with no flow that is easy to get lost in and tough to enjoy. In addition, there are some really tight holes that again seemed crammed into too small of space for the development. 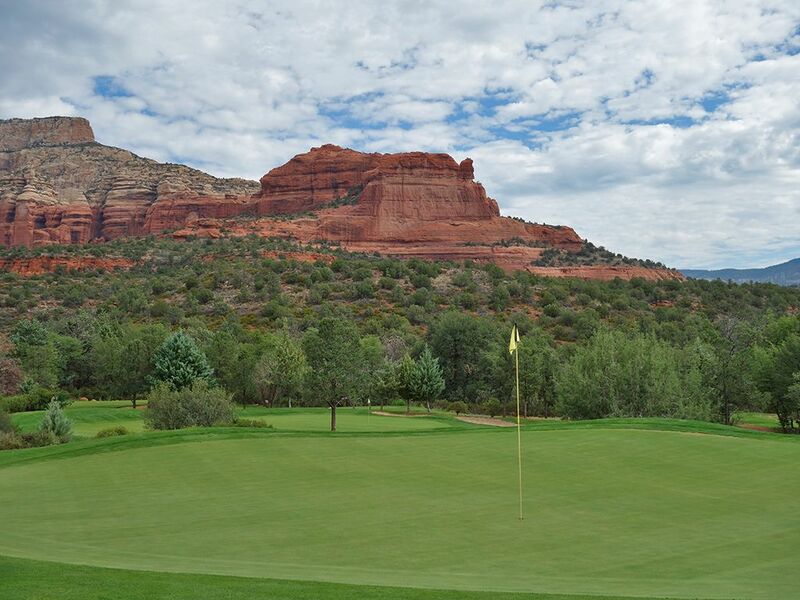 I’m a big Tom Weiskopf fan and every time I think back to Seven Canyons I’m in disbelief that he designed this course. It feels like absolute amateur work yet one of the game’s great architects has his name tagged to it. 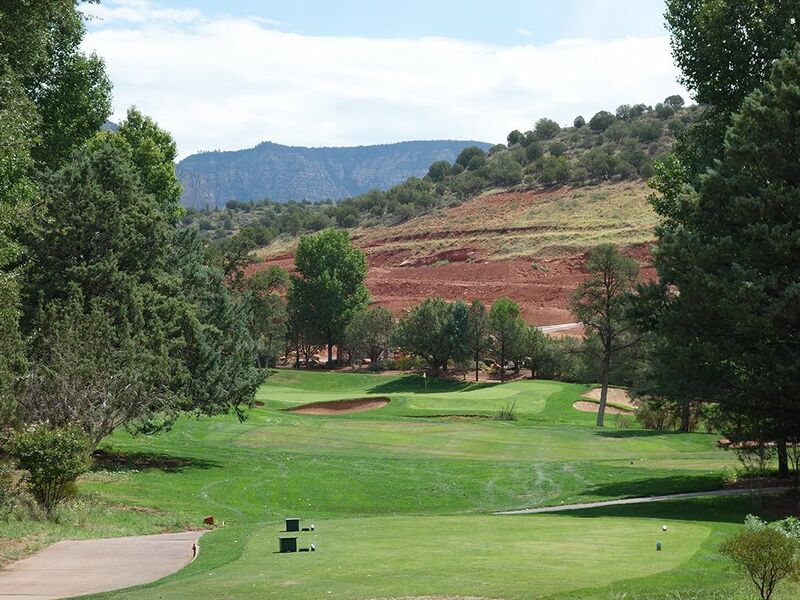 If there was ever a time a course needed a mulligan, Seven Canyons is it. 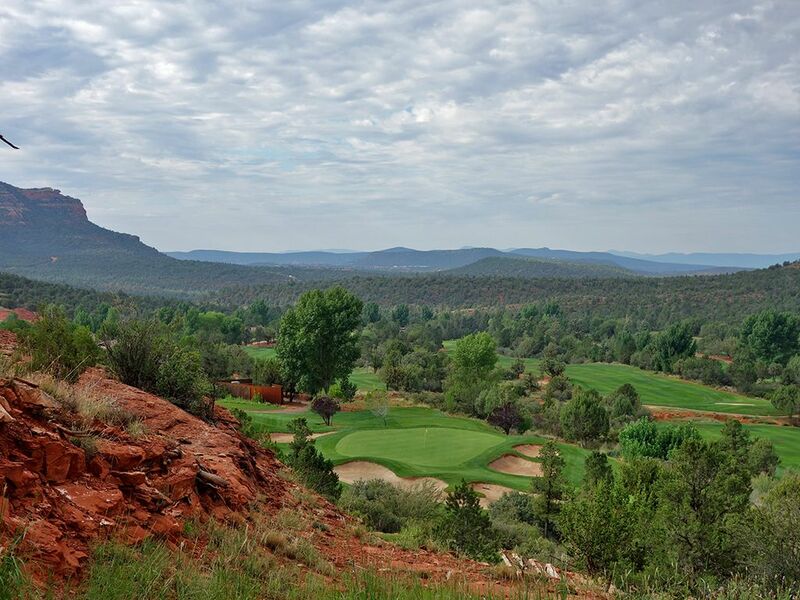 Signature Hole: 4th Hole – 175 Yard Par 3 – You are sitting on top of the world on the 4th hole at Seven Canyons. 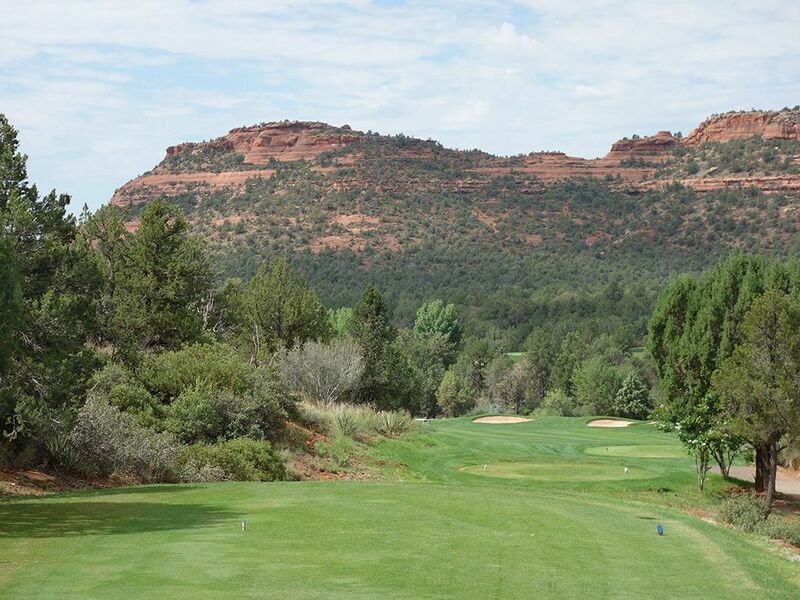 Perched on a tee box on the side of a red rock hill, your shot will plummet 65 feet enroute to the green below that is surrounded by bunkers and demands accuracy and distance control to avoid a sandy finish. With view literally for miles and and ego boosting tee shot, the 4th is an early climax to enjoy. 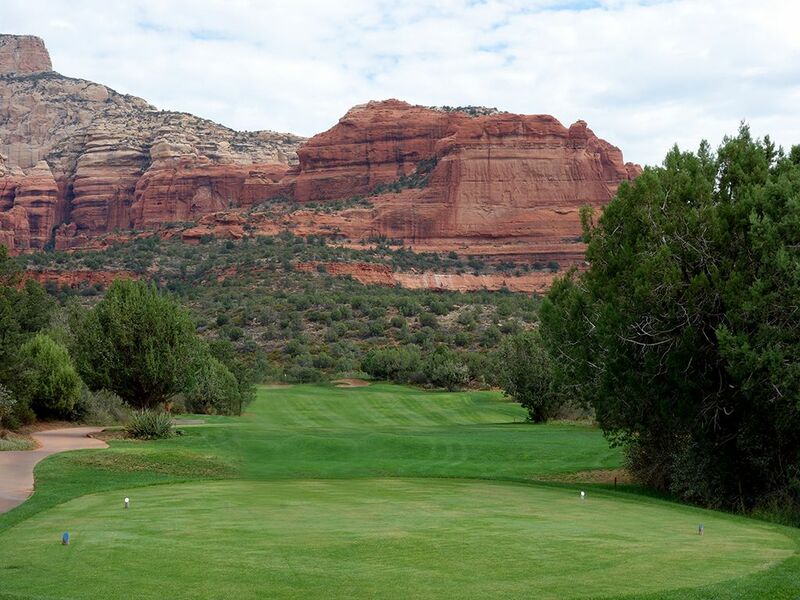 Best Par 3: 10th Hole – 161 Yards – The back nine starts with a relatively short par three that features a natural red rock hill as the backdrop. The front of the green is wide open and is receptive to aerial or ground shots, so feel free to take dead aim at any flag position that is tucked into an extreme edge. Best Par 4: 11th Hole – 346 Yards – The short 11th is characterized by a sunken punchbowl green and an extra tall flag that gives guidance on your approach shot. The fairway tightens up near the green so something less than driver is the wise play and then you’ll need to trust your yardage on the approach since the putting surface will be out of view from the fairway. I always love the anticipation afforded by a punchbowl green where hope springs eternal of having your approach sitting kick in distance from the hole. Best Par 5: 15th Hole – 500 Yards – A cape left hole, the reachable 15th asks players to skirt the left side to set up the best angle into the green and to avoid the fairway bunkers on the far side of the fairway. The approach shot plays over a hazard that fronts the green so you’ll need to decide if you are confident enough to do that on your second shot or if you are better off laying up and attacking the flag on your third. 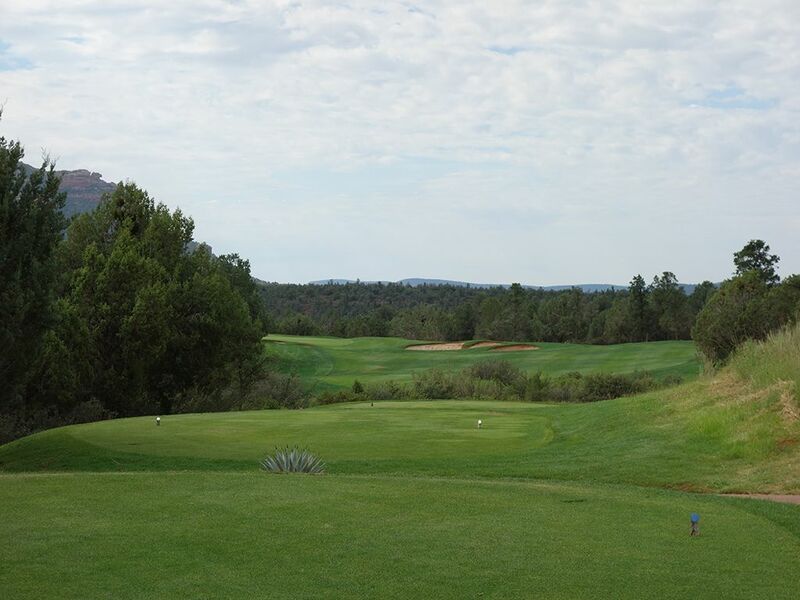 This hole presents a great birdie opportunity as long as you play smart and within yourself. Birdie Time: 12th Hole – 305 Yard Par 4 – You’ll need to let the green clear before teeing off on this short par four that is begging you to take a chance at reaching it. The fairway bends naturally from right to left so a draw is ideal to keep your ball over the fairway as long as possible before curving into the green. If you layup, the play is to the right side of the fairway where the angle opens up nicely to the green and gives you an opportunity to go pinseeking and get your birdie that way. Bogey Beware: 17th Hole – 246 Yard Par 3 – On a course that tips out at 6746, a 246 yard par three is an unexpected challenge. A wash fronts the green so you have plenty of carry to contend with to reach the putting surface safely while also managing to avoid the trio of bunkers that are in play. This will be by far the longest approach shot you have into a green you are trying to hit in regulation and the extra trouble surrounding your target simply adds insult to injury. Take your four here and move on.